It was 1989, and after 10,000 miles on the Winnebiko and another 6,000 on the Winnebiko II, the road had become my equivalent of living room walls — the network my neighborhood. Being a high-tech nomad had become my identity... 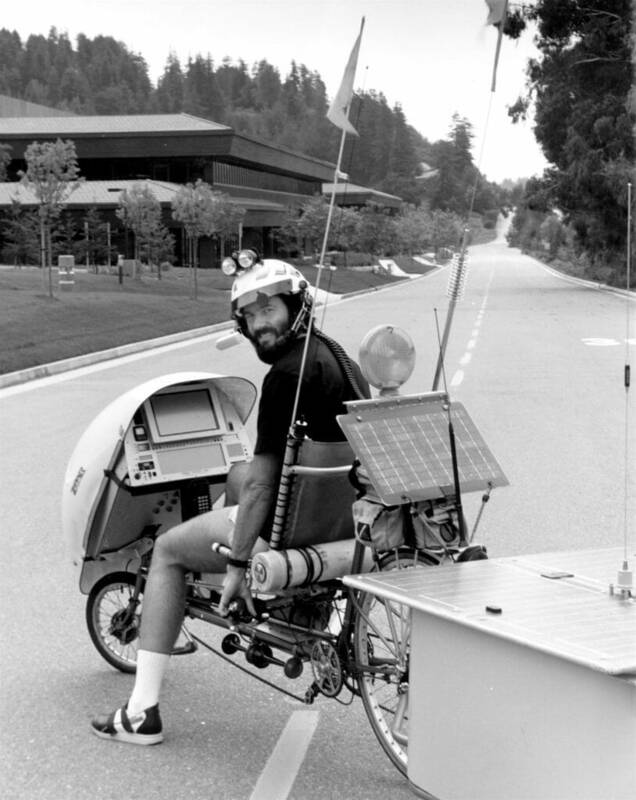 I was that bearded writer who pedaled a computerized recumbent bicycle around the US while typing on the handlebars. It must have driven my parents crazy. For six years I had been wandering, collecting stories, doing interviews... frolicking in this new world I called Dataspace where physical location was less relevant than one's choice of network providers. This was a very addicting lifestyle, and I survived by putting out a journal called Nomadness, selling my Computing Across America book, and freelance writing for magazines. Clearly, building this contraption was an entertaining science project, but what does it actually do? Basically, BEHEMOTH was to be a collection of all the geeky tools I could imagine, integrated into the limited user interface available while pedaling a bicycle. Most gadgets are made to stand alone or operate in specific environments, but I wanted to pull off a tour de force of usability design and roll 'em all into one system. But how? 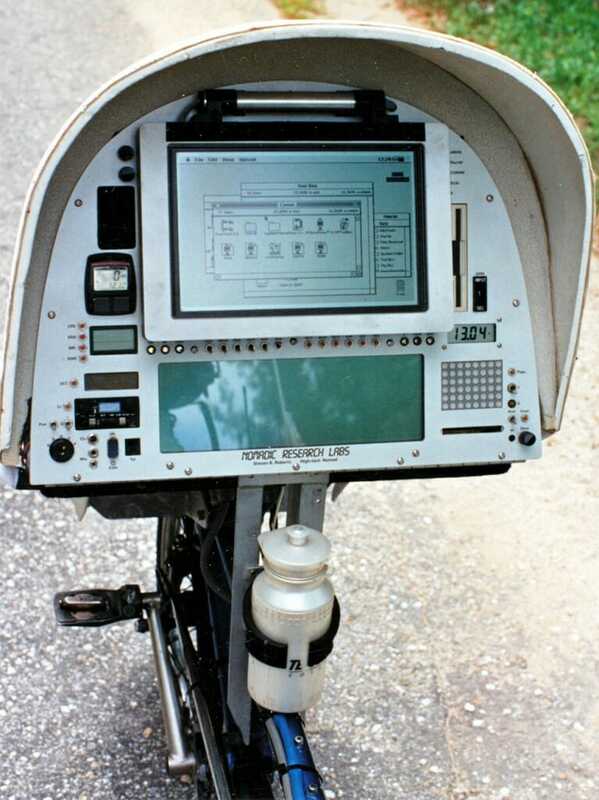 The bike had crosspoint networks of line-level audio and serial data, letting anything talk to anything with a simple command. Similarly, there were lots of logic-level power switches in all three equipment enclosures, so every device could be powered on under software control when needed... and of course there were tons of random inputs and outputs for sensors and control (both analog and digital). 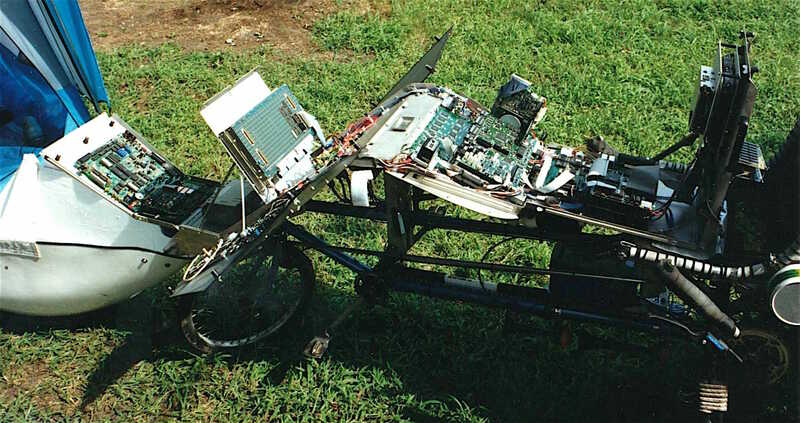 All of this was managed by a trio of 68HC11 bicycle-control processors located in the console, the enclosure behind the seat, and the communications bay in the trailer. So whenever I wanted to integrate some new device into the bike, all I had to do was throw away the standard packaging to cut weight, adapt its power supply to my standards, hook it up to network and control-system ports, document it, and write a bit of code. Easy! Bike parts... this is the audio crossbar we designed, using FET matrix chips and custom analog electronics to connect anything to anything when commanded by a single line of code. Click image for tech details from a 1991 Bikelab Report. These and other tools created a generalized architecture that allowed a wide range of devices to work together. Suddenly, all sorts of things became possible without needing a control panel with dedicated switches and LEDs, as I had on the Winnebiko II. Every device could be expressed as a few addresses on networks, and could be made to dance with a bit of FORTH code. This allowed spinning up all kinds of interesting applications that were not anticipated before launch, leveraging the power of a whole range of products by blending them into a meta-system. Anatomy of a Unixcycle in SunWorld can give you a deeper look at the bike network... and Mr Protocol wrote a delightful piece about the bike in SunExpert. 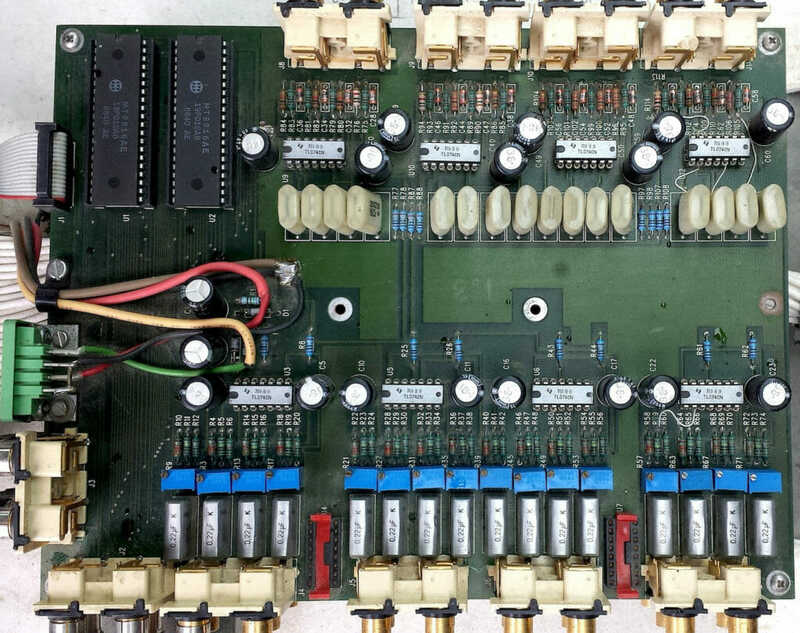 Serviceability was a huge design issue, and the console quickly unfolded without tools to access internal hardware. The console was only one of three networked equipment enclosures. 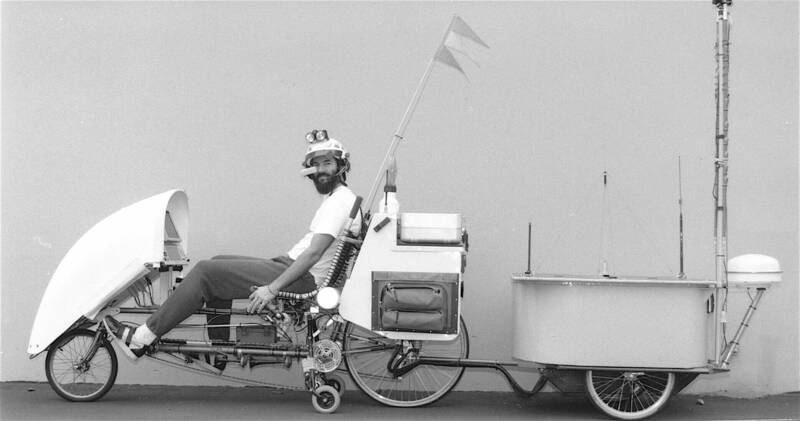 The RUMP behind the seat (Rear Unit of Many Purposes) carried audio, security, helmet interface, the SPARCstation, microwave motion sensor, embedded radio gear including data links, and one of the three crosspoint nodes... and there was an active head-cooling system with a 7-liter tank and a peristaltic pump to circulate ice water through the helmet liner and let my body operate more efficiently on hot days. 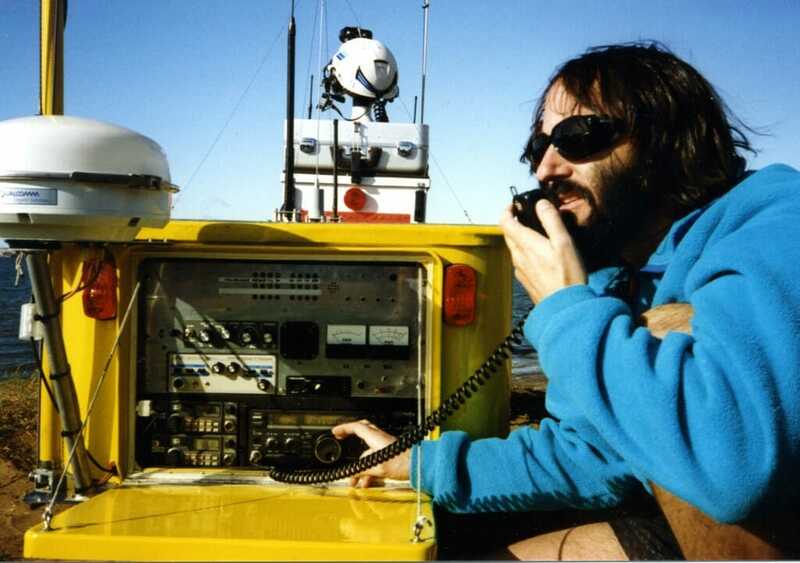 The yellow WASU (Wheeled Auxiliary Storage Unit) carried a 19" rackmount communications bay with fold-down door... shown in the photo below. This included HF, multimode VHF and UHF, amateur television, and other gear, along with an embedded cellular phone with interfaces to modems, fax, credit-card verifier, cordless phone, and answering machine. The white dome is a Qualcomm satellite antenna that gave me 24/7 email connectivity (in 1991... slow but magical). 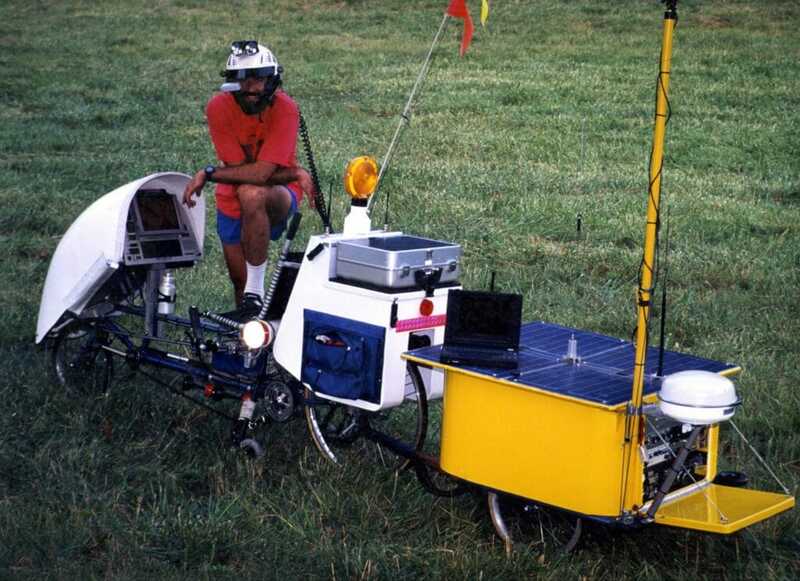 Taillights were homebrew LED, and the trailer carried two of the three 15 amp-hour batteries along with charge controller for the 72-watt solar array or shore power. 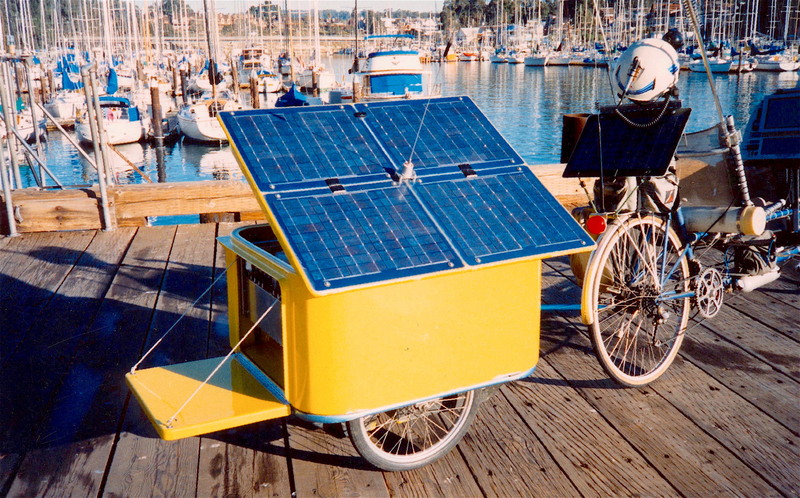 A 1989 test run to the Santa Cruz Harbor with the new trailer (WASU - Wheeled Auxiliary Storage Unit). Lid is 72-watt solar array and the rear third, with access door, is a rackmount space for the ham radio gear. Frame is custom Chrome-Moly tubing. A folding dipole antenna on the BYP (Big Yellow Pole) gave me global coverage on the HF amateur radio bands, and three other antennas on the solar lid took care of VHF/UHF, cellular, and security pager. 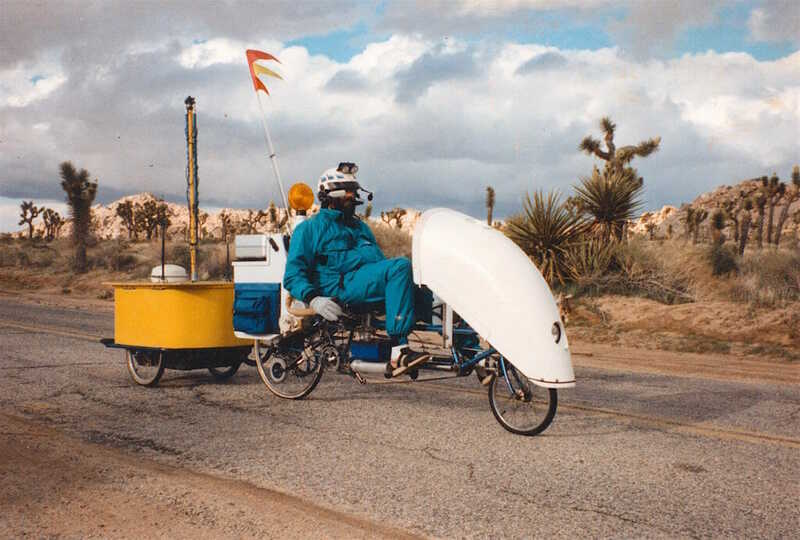 The trailer body was made of cellulose-core, silicon-matrix, polyester-filled composite (CSPC)... or fiberglass over cardboard (which is also how we fabricated the RUMP enclosure, though the fairing over the console was built from a custom mold). N4RVE operating the Icom 725 HF ham radio in the BEHEMOTH trailer. Of course, all this didn't come without cost. Among other things, I had formulated the Roberts Law of Applied Mobile Gizmology: If you take an infinite number of very light things and put them together, they become infinitely heavy. What I had initially called the Winnebiko III became the backronymic monster BEHEMOTH — "Big Electronic Human-Energized Machine... Only Too Heavy." The total weight including all the stowed gear was 580 pounds. Plus me! This called for a complete re-thinking of the bicycle itself, not just a new console grafted onto the trusty frame that had already carried me 16,000 miles. I needed technology to compensate for the weight of all the technology. Bikelab Report #9 from April, 1991 describes the bike mechanics in detail, including the 105-speed transmission and braking system... but I also required landing gear that could be pneumatically deployed to let me slowly crawl up hills in the 7.9-inch ultra-granny. Having an air compressor and aluminum tank also powered serious truck horns that saved me a few times. The years were passing, but by July 1991, all the pieces were in place... the photo above was taken just before trucking the machine to Omaha to begin the massive RAGBRAI ride across Iowa with 10,000 other cyclists, a "trade-show deadline" of sorts, keeping me focused on the calendar despite the constant temptations of creeping featuritis and the BEHEMOTH Effect ("hey, this is cool. I wonder how I can use it on the bike?"). It was wonderful being on the road, but the tech was unfinished. I bought a trailer and set up a mobile lab with the idea of continuing bike development while traveling the country, doing speaking gigs, visiting sponsors, and going for rides in gorgeous places. 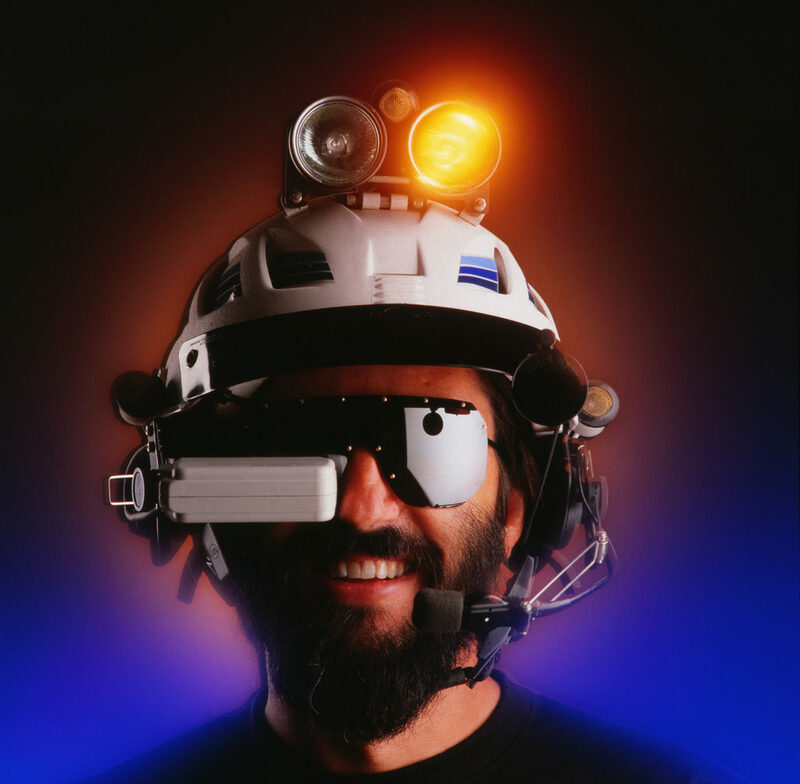 As I quipped at the end of the dreamlike link above: "And then… back to Silicon Valley to bring the function-to-weight ratio up to a level that will make this even more fun, if that’s possible. As I said, I’m having thoughts of watercraft, but BEHEMOTH has to pay his dues first… there are miles to go yet…"
If only it had been that tidy. 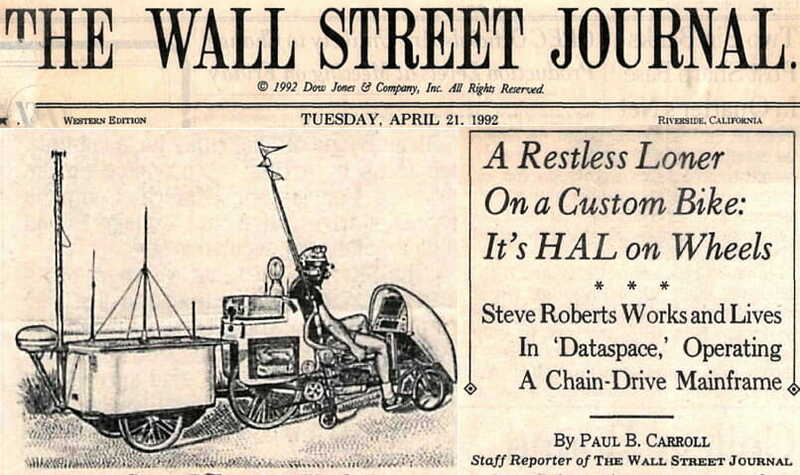 I made the front page of the Wall Street Journal, which called me "cheerfully irresponsible about money" in this 1992 story. Working with a Donahue crew at the old family home in Kentucky to get some B-Roll before going live on stage in New York. Mobile R&D lab, tools, parts, etc. I added a kayak to the Mothership, and hit the water whenever I could while visions of the future Microship began to take shape. The more I talked about the bike, the more I thought about the boat. All I needed was a lab near water, a quest that merged with the rambling open-ended speaking tour that consumed much of 1992-3. 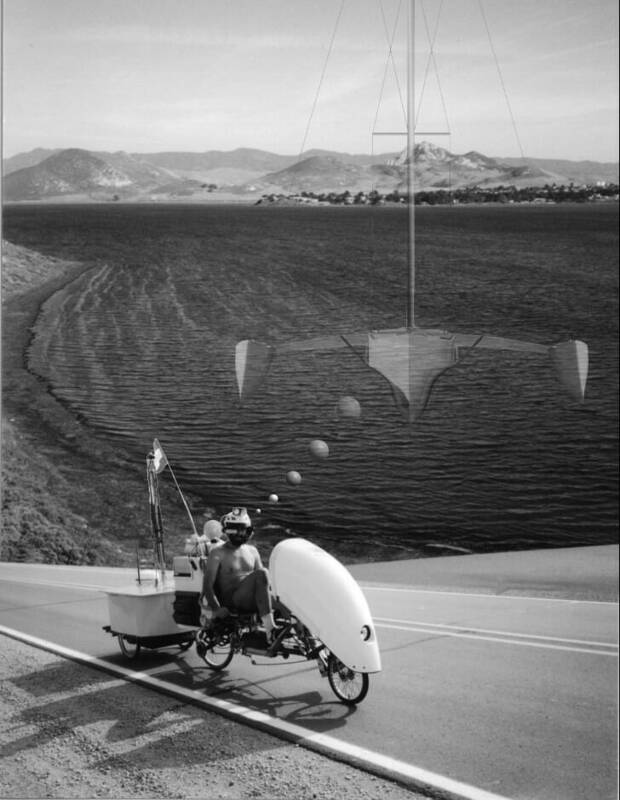 One nice video that happened during this period was Next Step on the Discovery Channel, airing in April 1993... just before I landed at UCSD to begin building the little trimaran. The story above contains embedded links to a lot of material, but there is much more in these archives including the set of 18 Notes from the Bikelab. Here is all the BEHEMOTH Media Coverage, along with a list of speaking engagements. 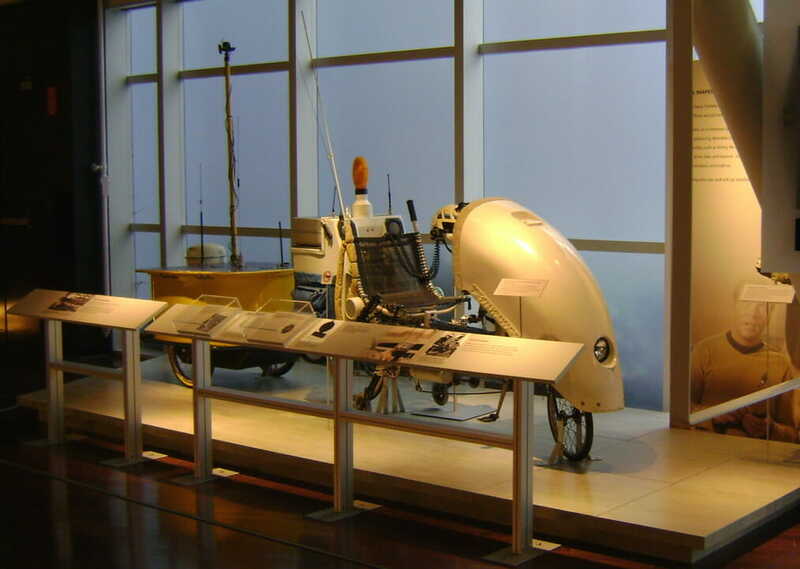 Many years later, I donated the bike to the Computer History Museum where it is now on permanent display, and one of my most energetic and detailed talks was this one at Quantum (with the bike on stage and a lively audience of engineers). 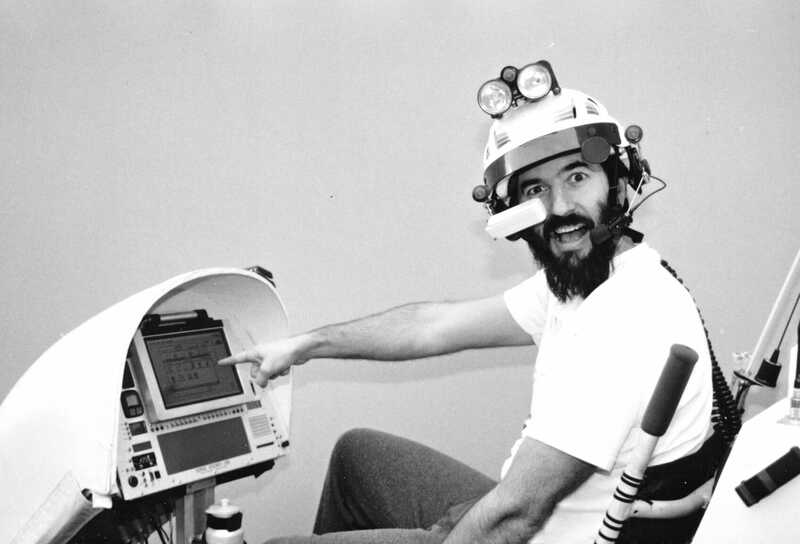 My talk at BBN in 1992 was also very techie and playful.